Geopolitics of the Crimean autonomous Republic, March 2014. This article lists the Post-Soviet conflicts, the violent political and ethnic conflicts in the countries of the former Soviet Union since shortly before its official breakup in December 1991. Some of these conflicts such as the 1993 Russian constitutional crisis or the 2013 Euromaidan protests in Ukraine were due to political crises in the successor states. Others involved separatist movements attempting to break away from one of the successor states. Some of these conflicts ended in a stalemate or without a peace treaty, and are referred to as frozen conflicts. This means that a number of former-Soviet states are left sovereign over the entirety of their territory in name only. In reality, they do not exercise full control over areas still under the control of rebel factions. Rebel groups are essentially left independent over large chunks of the territories they claim. In many instances, they have created institutions which are similar to those of fully fledged independent states, albeit with little or no international recognition. Notable such cases include Abkhazia and South Ossetia in Georgia; Nagorno-Karabakh on the border between Azerbaijan and Armenia; Transnistria in land near to Moldova's eastern border with Ukraine; and Novorossiya (a confederation of the Donetsk People's Republic and the Luhansk People's Republic, breakaway areas in Ukraine). The Republic of Crimea is also arguably part of this group of unrecognised states, as the annexation of Crimea by the Russian Federation remains unrecognized by a majority of UN member states and is contested by the government of Ukraine. Recognition of these rebel groups vary. In some instances such as Transnistria, no UN-member state has given its recognition, including Russia. 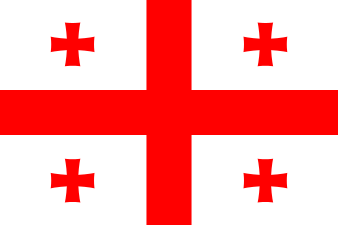 In the case of Georgia's Abkhazia and South Ossetia, Russia, Venezuela, Nicaragua and Nauru have recognized them. Civil war in Tajikistan 1992 1997 Began when ethnic groups from the Garm and Gorno-Badakhshan regions of Tajikistan, which were underrepresented in the ruling elite, rose up against the national government of President Rahmon Nabiyev, in which people from the Leninabad and Kulyab regions dominated. 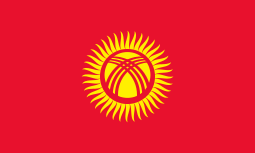 The war ended with the signing of the "General Agreement on the Establishment of Peace and National Accord in Tajikistan" and the "Moscow Protocol". 2010 South Kyrgyzstan ethnic clashes 2010 2010 Clashes between ethnic Kyrgyz and Uzbeks in southern Kyrgyzstan, primarily in the cities of Osh and Jalal-Abad, in the aftermath of the ouster of former President Kurmanbek Bakiyev on April 7. Tajikistan insurgency 2010 2012 Sporadic fighting in Tajikistan between rebel and government forces. East Prigorodny Conflict 1992 1992 Inter-ethnic conflict in the Eastern part of the Prigorodny district. First Chechen War 1994 1996 Russian troops invaded after Chechnya declared independence, but withdrew in 1996 leading to a de facto Chechen independence. War of Dagestan 1999 1999 The Islamic International Brigade invaded the neighbouring Russian republic of Dagestan in support of the Shura of Dagestan separatist movement. Second Chechen War 1999 2009 Russia restores federal control of Chechnya. War in Ingushetia 2007 2015 Separatist insurgency in Ingushetia. Insurgency in the North Caucasus 2009 — Separatist insurgency in Chechnya, Dagestan, and other parts of the North Caucasus region. 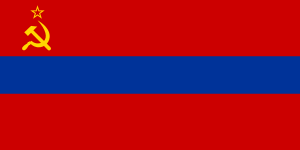 Nagorno-Karabakh War 1988 1994 Ethnic Armenian separatism leads to the de facto independence of the Nagorno-Karabakh Republic. 1991–92 South Ossetia War 1991 1992 The separatist conflict leads to South Ossetia's de facto independence. Georgian Civil War 1991 1993 Inter-ethnic and intranational conflicts in the regions of South Ossetia and Abkhazia. War in Abkhazia (1992–93) 1992 1993 Abkhaz separatism leads to the de facto independence of Abkhazia from Georgia. Armenian–Azerbaijani border conflict 1994 — Sporadic border war on the Armenian–Azerbaijan border and at the line of contact between the Nagorno-Karabakh and Azerbaijan..
War in Abkhazia (1998) 1998 1998 Ethnic Georgians launched an insurgency against the Abkhazian secessionist government. Pankisi Gorge crisis 2002 2004 An incursion by Al-Qaeda forces on behalf on Chechen rebels fighting in the North Caucasus. They were forced out in 2004 by Georgian forces with American and Russian backing. 2004 Adjara crisis 2004 2004 A popular revolt ousted the autocratic ruler Aslan Abashidze, Adjara reaffirmed its integration into Georgia as an autonomous republic. Russo-Georgian War 2008 2008 A war between Georgia on one side and Russia, South Ossetia and Abkhazia on the other side confirms the de facto independence of Abkhazia and South Ossetia and leads to their recognition by Russia and Nicaragua. Transnistria War 1992 1992 Transnistria, which is de facto independent from Moldova, has declared independence in 1990, due to its majority Russian-speaking population fearing union with Romania. A ceasefire between Transnistrian forces and Moldovan forces has been in place since 1992, enforced by the presence of Russian forces in Transnistria. 1993 Russian constitutional crisis 1993 1993 Political stand-off between the Russian president and the Russian parliament that was resolved by using military force. Euromaidan 2013 2014 Civil unrest fueled by the perception of widespread government corruption, abuse of power and violation of human rights in Ukraine. The unrest eventually lead to the 2014 Ukrainian Revolution toppling of the Ukrainian government. Annexation of Crimea by Russia 2014 2014 In March 2014, following the takeover of Crimea by pro-Russian separatists and Russian Armed Forces, an unauthorised referendum was held on the issue of reunification with Russia. Russia then annexed Crimea. 2014 pro-Russian unrest in Ukraine 2014 — Violent protests of the Russian population in Eastern Ukraine, including separatism. War in Donbass 2014 — Pro-Russian separatism and Russian military intervention in Donetsk and Luhansk Oblasts. ↑ "Statement by President of Russia Dmitry Medvedev". Russia's President web site. 2008-08-26. Archived from the original on 2 September 2008. Retrieved 2008-08-26. ↑ "Treasury Designates Seven Individuals And One Entity Contributing To The Situation In Ukraine". US Treasury. 11 April 2014. ↑ "Crimea applies to be part of Russian Federation after vote to leave Ukraine". The Guardian. 17 March 2014.